So, I am working on the Great North Wall. See the pair of windows in the high gable? See how the upper sashes are plain glass? I never gave the sashes a thought. Today though, I discovered that the upper sashes were not originally single pieces of glass! ZOUNDS! This image was sent to me by Roger Heineken, and is from the 1968-69 Beta Sigma Tau scrapbook. 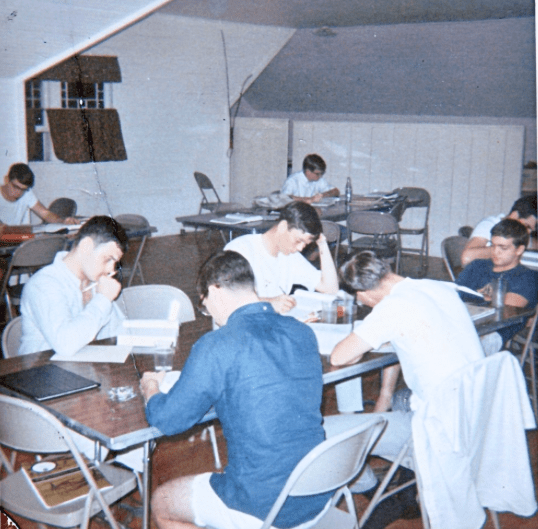 The fraternity occupied the Cross House in the late 1960s, and tomorrow night they are having a reunion in the house! 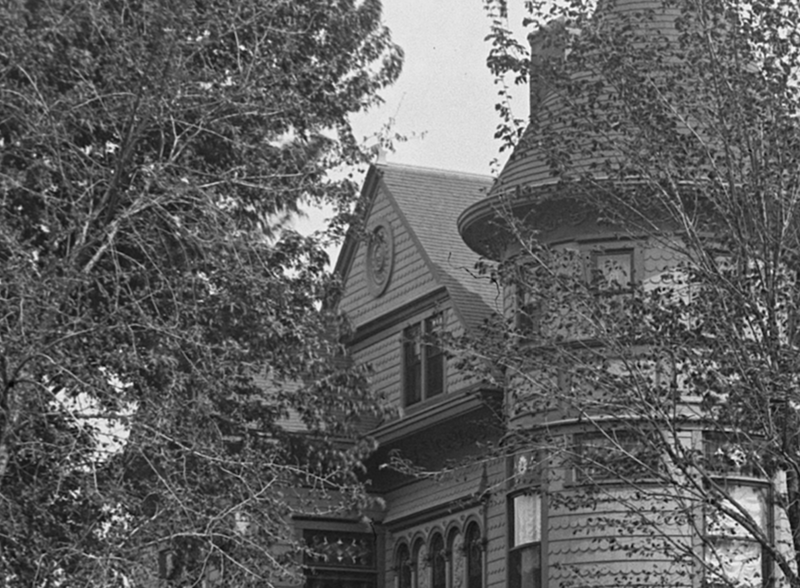 In this 1895 image, you can see, just barely, the lost original upper sashes! I never noticed before! In the west dormer, I knew that the upper sashes were originally diamond-paned. These were long gone when I purchased the house, and I recreated them. Now, I have no choice, no choice, but to recreate the lost upper sashes of the north gablel!!!!! 5 Responses to Zounds! A new Discovery! 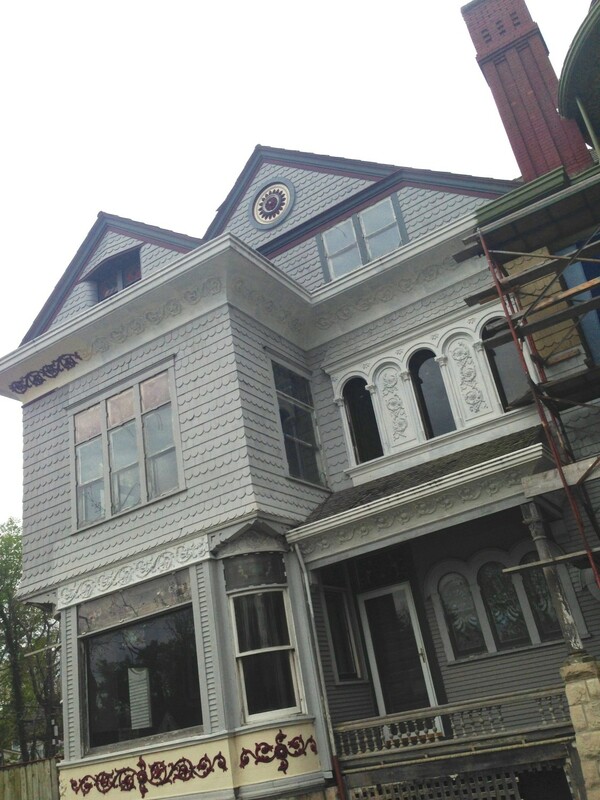 Will these Queen-Ann windows have colored panes or bullseyes? And do you have a source of matching window hardware?